We’d love your help. 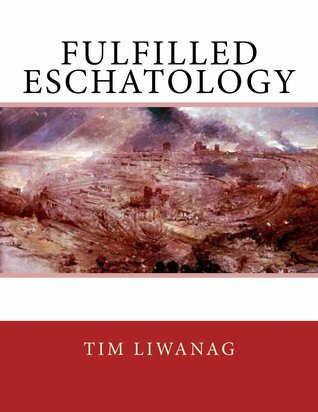 Let us know what’s wrong with this preview of Fulfilled Eschatology by Tim Liwanag. 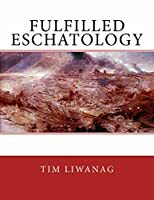 To ask other readers questions about Fulfilled Eschatology, please sign up. Tim Pagaduan Liwanag was raised in Manila, Philippines by his parents. His interest in history and pro-Filipino blogs became the groundwork for his book that promotes achievements of Filipino Trailblazers. Recently, his published work on the apocalypse of first-century Jewish nation gave him the recognition of being the first Filipino author to write a book on fulfilled eschatology. Outside his int Tim Pagaduan Liwanag was raised in Manila, Philippines by his parents. His interest in history and pro-Filipino blogs became the groundwork for his book that promotes achievements of Filipino Trailblazers. Recently, his published work on the apocalypse of first-century Jewish nation gave him the recognition of being the first Filipino author to write a book on fulfilled eschatology. “That which was published in the Law, the prophets, and psalms before "God was manifested in flesh"